We design quilts and publish quilt patterns. For wall hangings, table runners, quilts for beds or cribs. From bright, tropical quilts to rich, traditional quilts. Made with a rainbow of materials. From colorful Hawaiian and elegant Japanese textiles to beautiful fabrics of all kinds. But almost always with an element of fun and whimsy. Please look around, check out our patterns and let us know what you think. Welcome, or as they say in Hawaii, E Komo Mai! 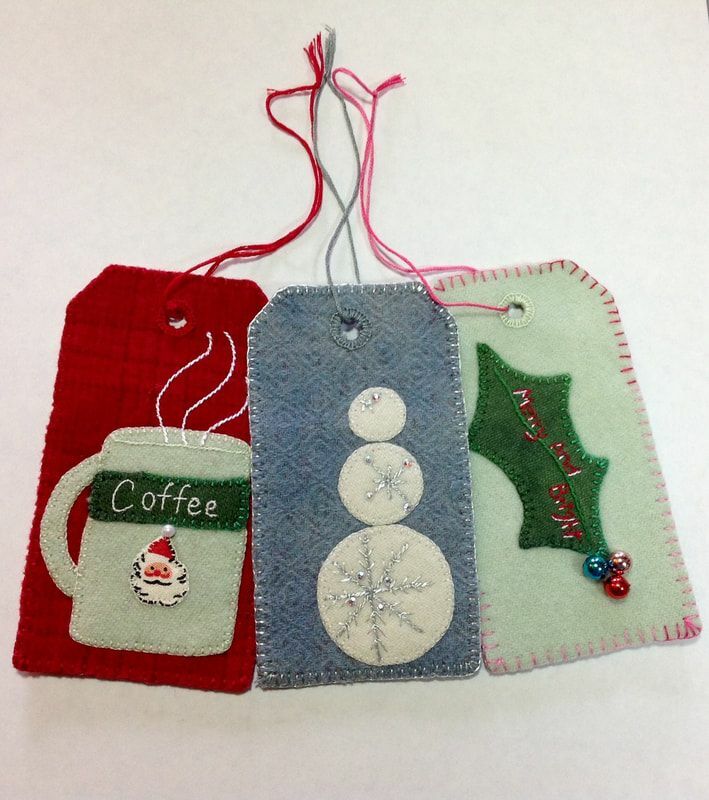 The pattern includes three fun little appliques and lots of text for embroidering holiday greetings. Make them in felted wool or cotton and sew by hand or machine.